Family Secrets is a 13-part documentary series. Described by critics as, ‘…astonishingly intimate…’, ‘…gritty and naked and true…’ and ‘…without a doubt haunting…’, the shows focus on individual families whose members have been affected by a life-changing event. At the core of each program is an honest, expressive and vulnerable individual who explores the complexity of his or her family ties. Filmed in a vérité style that combines fly-on the-wall observational filming with informal interviews, home movies and personal photos, Family Secrets is a raw, compelling and honest account of the impact of secrets on families and their lives. Episode #1 – Birth Mothers Never Forget:This episode follows the story of a woman who as a teenager was forced to give up her first-born son for adoption. Still haunted by her decision thirty-six years later, she faces a roller coaster of emotions as her eldest daughter prepares for the birth of her first child. Episode #2 – Introducing Debbie: A son asks his father ‘How does it feel to be a grandmother?’ The father responds ‘I’m too young to be a grandmother’. Meet Debbie, the once-married father of two teenage sons who decides that in order to be his true self, he must live his life as a woman. Episode #3 – Erase the Day: As if murder wasn’t horrible enough, think about how it might affect your family if one of your parents intentionally killed the other. A retired man who brutally murdered his wife has caused a divide within his family. As they struggle to pick up the pieces, three brothers deal with the consequences of their father’s actions. Episode #4 – Blowing Out the Candles: Birthdays are a time for celebration, but rather than celebrate with his family, a young man resorts to drugs, alcohol and sleep. His sister is increasingly concerned that her slacker brother will follow in the footsteps of their mother, who drank herself to death. Episode #5 – Loss and Found: A woman learns the baby she’s carrying will be stillborn. But after months of intense grief, she discovers an inner-strength and vocation that helps her find a new place in her community and resume her life. Episode #6 – Love Behind Bars: No one said love was easy, especially when a couple’s only means of contact is through a bullet-proof window. Following her convict lover from one maximum-security facility to another has caused a prison social worker to leave her family and relinquish her own ‘freedom’. Episode #7 – Best Laid Plans: A couple in their 20’s want to have kids. When the young woman discovers she may never conceive, she finds herself trying to balance fertility treatments with familial pressure. Episode #8 – Second Helping: Starving herself to ‘look the part’ has finally caught up with a former competitive junior skater. After being diagnosed as anorexic 15 years later, she must compete with her inner demons to get her life back on course. Episode #9 – Looking for Sevens: A gambling junkie with a passion for slot machines aims to conquer her addiction by returning to a casino for a night of non-gambling forcing her to divulge a confession that shocks her family. Episode #10 – From Mild to Completely Severe: By day she seems like your typical mom-next-door, but when her cell phone rings, this suburban mother of two turns into a mistress of pleasure and pain. How she manages to keep her alternative occupation a secret from her family is anyone’s guess. Episode #11 – Beyond Baby Blues: A woman with beauty, brains, wit and confidence fell into a deep postpartum depression when her daughter was born. Now she lives with the shame and guilt of not being a ‘good mother’ and faces uncertainty about having another child. Episode #12 – Almost Normal: Despite occasional unpredictable behaviour and social awkwardness Asperger’s Syndrome sufferers can usually function fairly well in the world. What is it like for a mother to cope with two children who have the disease? Episode #13 – When Nobody’s Looking: In this honest and moving portrait, one man shares his secret about a father who sexually abused him, his brothers and sister for many years. And now, after a long journey that helps free him from the horror and pain, he can finally accept the past and embrace the future. 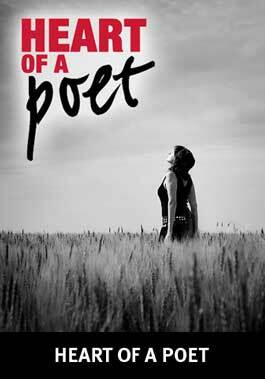 Heart of a Poet is a documentary ‘television series in 26 verses’ (seasons I&II), with each episode profiling the life, inspiration and performances of a working Canadian poet. Each week, the series throws a spotlight on an individual poet, from established award-winners including George Elliott Clarke, Christian Bök, Lillian Allen and bill bissett to rising literary stars Shane Koyczan and Motion. Heart of a Poet introduces the featured artists and their writing through interviews, spontaneous recitations in and around their communities, and the many experiences both large and small that fill their days and help shape their poems. The series Executive Producer is Maureen Judge of makin‘ movies inc. and series host is spoken word poet Andrea Thompson. It’s a hip show that takes viewers inside the poetry community, in all its various forms, alternate incarnations and unfettered diversity.